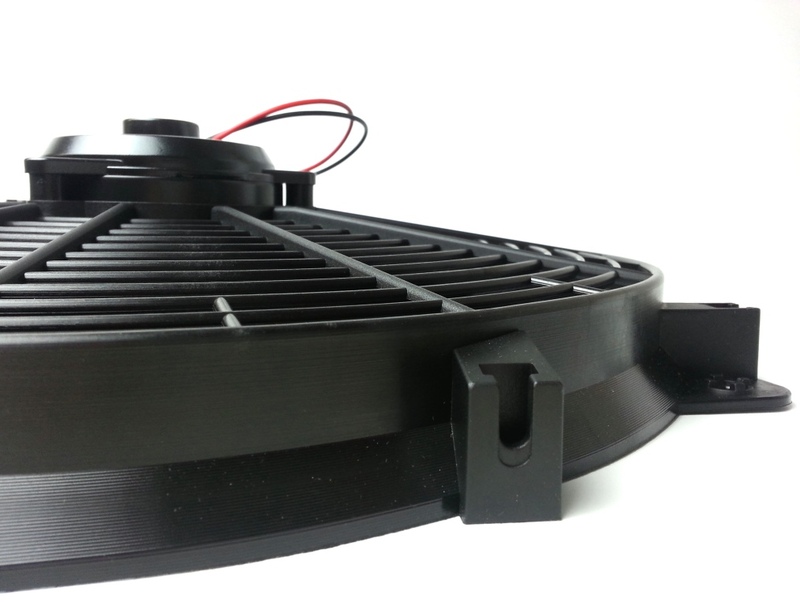 This reversible fan is used in our Smart Fan kits and on all cars that we convert to an electric fan. This fan improves engine performance, frees the water pump pulley for more RPM, installs in minutes with simple hand tools, and are reversible (mounts in front or back of radiator). Ultra thin design to fit cramped locations. Reinforced glass filled polypropylene blade and plastic housing for minimized weight. Nylon tie mounting kit included.